Happy Wednesday, everyone! Can't believe it's almost the time to back to school! That means I have to carry my laptop to the university almost every day started from September. Luckily, I recently received this lovely laptop case from Harber London. I can finally use this high quality laptop case to carry my laptop! Harber London is a London brand which makes leather goods. When I received the laptop case, I was very satisfied with how well the case is made! 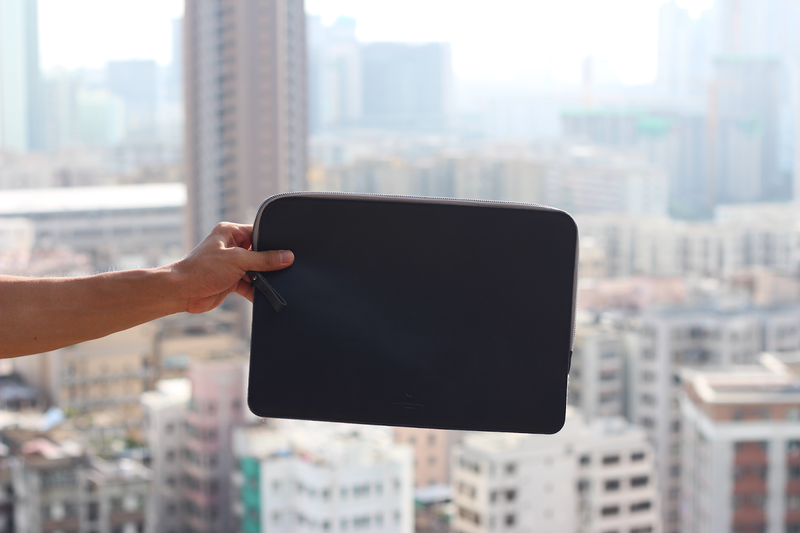 This navy leather folio laptop case is very slim. At first, I was questioning if my Macbook air can actually put inside the case. But it actually fits perfectly well! Therefore, it can look so good from the outside because of the slim design of the case. One of the features I love about this case is how great the leather is! It is very smooth! Also, as a fashion blogger, this case can almost goes with every outfits! The reason behind is because of the minimal design! You can click here to check out more information about this case. Do you guys love this laptop case? Let me know on the comment section! You look really cool!!! I love the outfit!!! What a sleek case! I adore the color. I love the look of that case! The fact that it is so slim is so appealing! I'm not a fan of bulk cases. 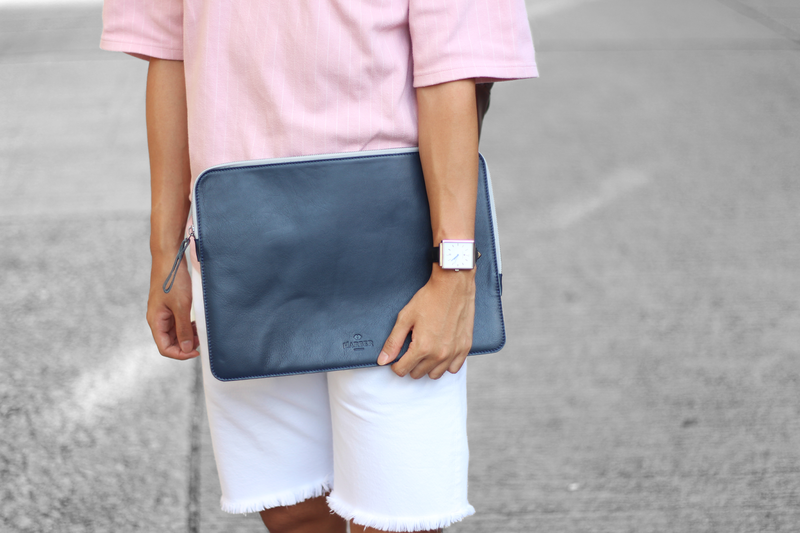 Great outfit and love the classic minimalistic style of your case. Love your briefcase! SO sleek, Daniel! That laptop case looks really nice! This laptop case is absolutely cool! Oh! very nice pink top! I like it a lot guy! I like your shows too! I’m a greek life style blogger too guy on Euframe.blogspot.com. ⭐️ check out my first fashion style post today! I would liek to leave a comment there and tell me your opinion too! This look is AWESOME, Daniel! Love your pink shirt and shorts! That background is FABULOUS! Great styling as always! This laptop case is so cool...I love its modern, sleek look! Great photos! Love the chic laptop case! That case looks so perfect and easy and unassuming. Love the way you make it look so effortless and light in your photos!!! You look so cool too....Have a great day ! 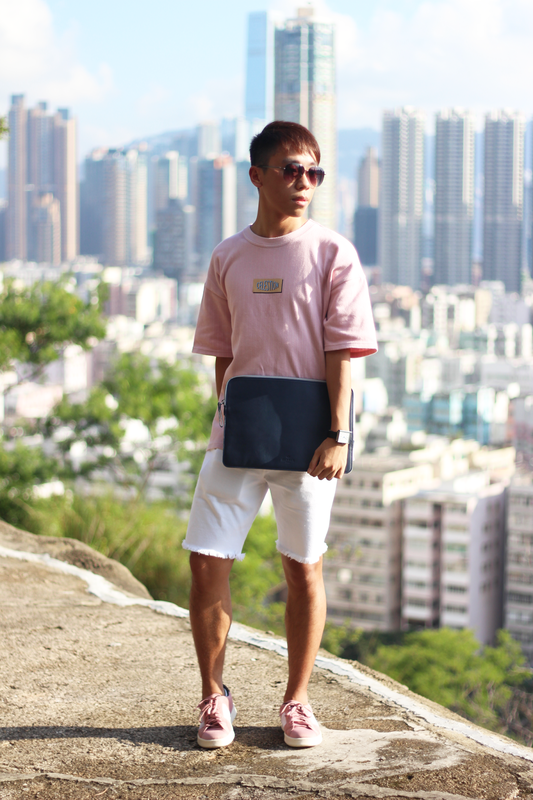 I love your outfit paired with the laptop case! This is so cool. Your images are perfect. Klicken Sie hier und erfahren Sie mehr über die Website des Shops!jadegowns.de abendkleider romantisch reviews Es gibt viele schöne Kleider. jadegowns.de abendkleider ausleihen wolfsburg reviews Sie werden es lieben! The zipper damaged my Mac laptop. Harber offered no compensation.